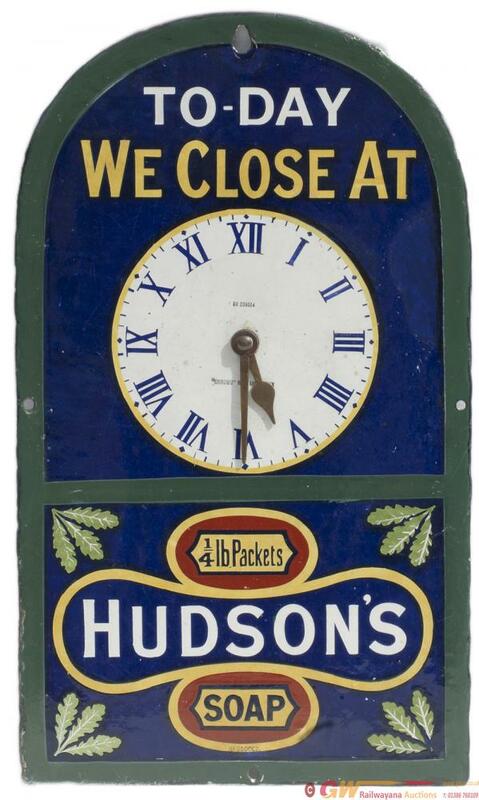 Advertising enamel clock HUDSONS SOAP TODAY WE CLOSE AT. In very good condition with a few areas of expert restoration and complete with original hands. Measures 18in x 10.5in.